While companies compete for headspace in a noisy and crowded environment, thought leadership as a tried and trusted PR tactic is coming into its own in the South African media space. 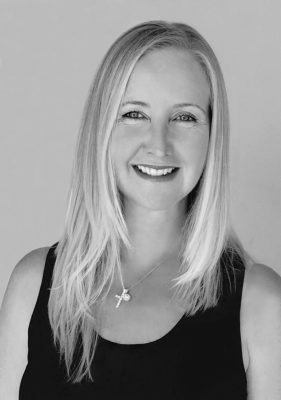 Louise Hunt from Durban-based communications agency, Hunt PR, says the rise of thought leadership demonstrates how content marketing and PR are drawing ever closer together. As a linchpin between traditional and contemporary exposure, well-researched, useful and credible thought leadership articles should be an essential part of the modern PR plan. The line between traditional and contemporary content sharing is becoming more and more blurred as companies work harder to create relevant content not only to be shared with the media but across their owned media platforms as well. If people are following you or connected to you online, it means they value your thoughts and input. Thought leadership is a great way to capitalise on this relationship as it allows a business the chance to put out editorially relevant and content-rich articles that are simultaneously useful to your online community and publishable in the media across all channels. Hunt warns though that the story must count. “A thought leadership piece is not a press release,” she emphasises, “it’s a tactic that requires finding a strong angle, researching topical or trending issues and pairing the findings with a client’s intellectual property. This is intended to draw out information that can be shared with a predetermined target audience who will, in turn, find the content compelling and valuable to their business or appealing to their intellect.” With media often looking for unique and newsworthy publishable content, the content possibilities and benefits of thought leadership articles are numerous and varied. 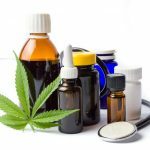 Hunt says, ‘‘If your piece is credible and backed by a strong industry leader then you are likely to gain significant traction and third-party endorsement from the press. Traction could extend further as . . .
A breakfast event held jointly by the South African Property Owners Association (SAPOA), Women’s Property Network (WPN) and the South African Institute of Black Property Practitioners (SAIBPP) sponsored by Beier Group and the Durban ICC, took place at Durban’s ICC on 13 February 2019. 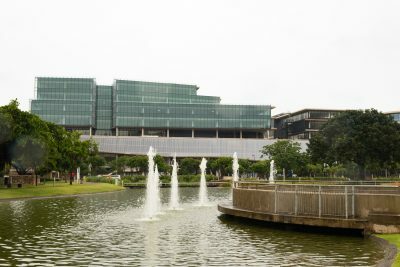 The first-of-its-kind event was held to unite these three associations and government towards addressing transformation, land reform and other issues affecting the property industry. The three renowned property organisations collaboratively hosted the event with the main theme, “Transformation in the Property Sector Transformation – Unite KZN” aimed to accelerate transformation within the property sector and engage on the topical land reform matters. Key note speakers shared insights on land expropriation, bulk infrastructure, catalytic projects and other challenges facing the industry on a national level. Bernadette Khumalo, regional chairperson of SAPOA in KZN and CEO of Rokwil Civils said, “We wanted to break down the stereotypes and show a united front in KZN. Each association faces and deals with the same challenges and working together on common issues is better than each trying its own approach.” Queen Mjwara, KZN chairperson for WPN said, “Considering the property sector charter and its codes, we are making slow progress towards the benchmark. 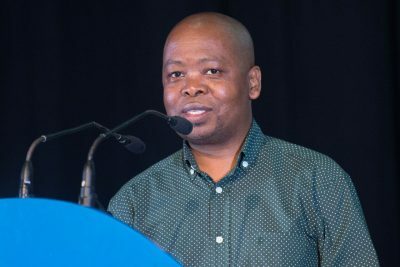 This breakfast was a reminder for our three organisations to prioritise and drive transformation in the property industry.” National keynote speakers were Portfolio Committee Acting Chair and ANC Whip, PJ Mnguni from Land Reform and Rural Development, and eThekwini Municipality Deputy City Manager of Economic Development, Phillip Sithole. Key topics for the Deputy City Manager included urban renewal, improving bad building practices, redressing the social housing backlog and public space management to attract investors and tourists. Sithole also mentioned that the City is committed to working with the private sector and has . . .
UTRECHT, The Netherlands, January 21, 2019 – BCD Travel today announced that Rennies Travel has joined its Global Network, present in 109 countries worldwide. Headquartered in South Africa, Rennies Travel specializes in corporate travel, incentive and group travel, leisure travel and travel technologies. Part of the Bidvest group, Rennies Travel serves clients in South Africa from six offices, in addition to serving clients around the world. BCD will continue to operate its current South African joint venture, BCD Travel South Africa, separately. Based on combined annual sales revenues for the two entities, BCD will consolidate its position as corporate travel market leader in South Africa. “Thanks to our current South African joint venture, we have a long-standing partnership with Bidvest, based on mutual trust and a shared commitment to quality,” says Adrian Woodward, vice president of BCD Travel’s EMEA Global Network. “This partnership with Rennies Travel is a logical next step. 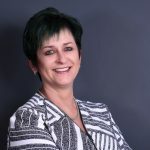 Rennies Travel is an excellent strategic addition to our Global Network, thanks to its impeccable reputation and ability to service clients of all sizes.” Lidia Folli, chief executive officer of Bidvest’s travel cluster, BidTravel, says: “Based on BCD’s track record in South Africa, I have extremely high confidence in our ability to continue offering businesses from around the globe the highest service quality available in South Africa.” Bronwyn Philipps, chief executive officer for Rennies Travel, says: “Because our focus is on service and technology leadership, we believe BCD’s Global Network best meets our commitment to our clients. We chose BCD Travel as our global partner because of their global reach, their consistent delivery of and roadmap for innovation, their global data consolidation expertise and their service orientation across all markets around the world.” With the sixth largest population in Africa, South Africa also has the continent’s second largest . . .
A new year calls for a clean slate, to start afresh and to move forward in our personal and work life keeping in mind our physical and mental well-being. There’s no better neutral than powerful, fluid and sensitive silver to kick off 2019. We have chosen steely Silver (38) as our January colour of the month and the colour to prepare us for the new year. In a time where emotional intelligence and mindfulness are increasingly taking centre stage, this is what Empowered by Colour has to say about the benefits of illuminating silver: “The colour silver is fluid, sensitive and mysterious. From a colour psychology viewpoint, it signals a time of reflection and a change of direction as it illuminates the way forward. It helps with the cleansing and releasing of mental, physical and emotional issues and blockages as it opens new doors and lights the way to the future. With its reflective and sensitive qualities, silver inspires intuition, clairvoyance and mental telepathy. 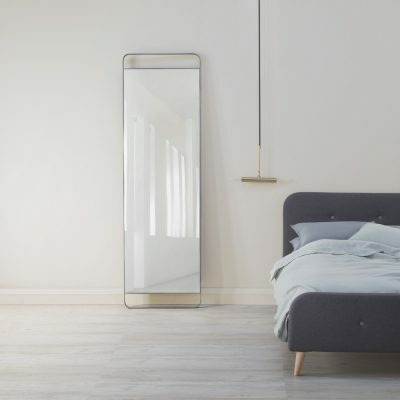 It reflects back any energy given out, whether it is positive or negative.” Plascon Head of Decorative Marketing, Katlego Kondlo comments, “As we shift into 2019 amidst a flurry of predictions from researchers and experts analysing trends of every business sector and of course, the political landscape, at the top of our minds are the trends for our homes and workplaces where we will spend most of our time over the next year.” Plascon Silver (38) is part of the overarching Essential Collection and falls within the Urban Colour Story from the paint manufacturer’s newly launched 2019 Colour Forecast. Driven by global connectivity, social media and shaped by exposure to new cultures, artful industrialists are taking colour off the canvas and onto their walls. A clever combination of industrial motifs and splashes of colour are set against a cool, concrete backdrop to give undeniable energy and street cred. Cementitious and stable, Silver (38) is the perfect backdrop for the urbanite looking to carve . . .
As South Africa gears up for peak holiday traffic volumes experienced during December, road safety is at the forefront of the minds of those who manage traffic flow and all road users. 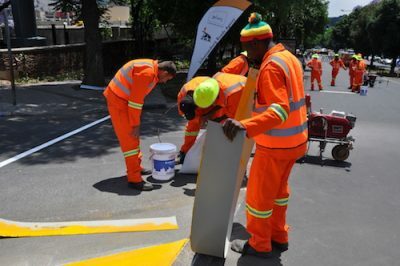 The Johannesburg Roads Agency (JRA) recently teamed up with the City of Johannesburg to host a Quality Road Markings event in support of Transport Month and to increase safety and user experience on the city’s roads. Plascon was one of three paint suppliers to demonstrate their road-marking paint products at the event which took place at Hyde Park 6th Road between Jan Smuts and First Road last month. Road marking paint is critical to ensuring road safety as it needs to be both visible and durable. The paint products showcased by Plascon and the other suppliers had to comply with the following factors required by JRA: o Paint products must include crystal glass beads with a strong capacity for absorbing, storing and emitting light. o Can glow for more than twelve hours in the dark thereby increasing safety for road users. o All the paints (pigments, masterbatches, and aggregates) are non-toxic with no radioactive additives. They must be harmless to the environment which offers a greater level of social responsibility. o Paints must be quick drying and suitable for direct application to all types of new or previously painted bituminous and concrete road surfaces. o Can be applied by brush, roller or road striping machine. o Must have good retro-reflectivity due to excellent glass bead retention. o Produce a surface with anti-skid properties thereby increasing safety when it is raining. Rolf Redelinghuys, who heads up Plascon’s road-marking paint division, highlights the importance of using specialised highly visible, durable and long lasting road-marking paints to keep traffic flowing smoothly and minimise driver distraction. “It can be applied to all suitable bitumen, asphalt and concrete road surfaces. The specialised resin technologies used in these products, . . . The wait for uMhlanga’s latest business and lifestyle development is over as Park Square, an exceptional business and lifestyle destination for professionals and community members, finally opens its doors. The R1billion Four Star Green Star-rated development, developed by Nedport Developments, a wholly owned subsidiary of Nedbank, features 36 000m² of commercial space, a 4 000m² retail area and a 3 500m² connected open square. The generous retail arcade with some of Durban’s finest stores, restaurants and coffee shops, connects the square with the lush Chris Saunders Park. Indigenous trees, grass and planter boxes form part of the development’s design to create an attractive natural open space where a connected work culture and distinctive leisure and retail elements exist side by side. Designed with people in mind, Park Square connects the surrounding communities through considered stores, restaurants and services while simultaneously being a dynamic place for professionals to work and socialize. Outlets to look out for include a brand new top-tier Spar and Tops at Spar, Medstone Pharmacy, Armitage Men’s Outfitters, Pizza Hut, Postnet, Hello Hunny Beauty Studio, Seattle Coffee, Mike’s Kitchen, Sergeant Coffee, D’Lishious Shawarma, the Eye Gallery, Eazi Laundromat and International Bank Vaults. On the mix of retail outlets, Nedport Director, Ken Reynolds commented, “Selecting the right assortment of retailers for Park Square was a thorough process. We are confident that we have an excellent combination of fashion, food and coffee purveyors as well as great service providers that will attract people to the development to shop, relax and get things done.” Located on the uMhlanga Ridge close to Gateway Theatre of Shopping, a GO!Durban Integrated Rapid Transport System stop and other attractions, and with ample parking, Park Square will benefit from excellent access in an upmarket, safe and convenient location. Office areas will enjoy a second, more exclusive . . . 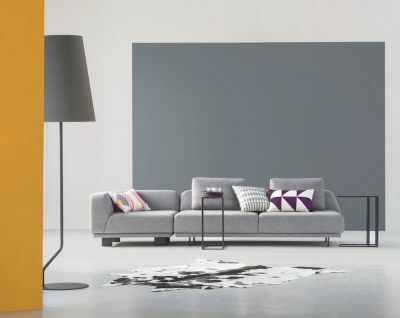 The announcement of Ravine (62) as Plascon’s Neutral of the Year tells us that, even though it has evolved over more than ten years as one of the top decorative neutrals, grey is here to stay. Ravine (62) is a timeless blend of grey and beige which invites a minimalistic yet luxurious look to a space and, according to the Plascon Colour Connoisseurs, is the perfect hue for the classic home in the 21st century. Part of the Plascon Colour Forecast’s 2019 Luxury colour story, Ravine (62) has a soothing taupe undertone, perfect for classically decorated homes. On grey’s enduring popularity, Colour Expert, Claire Bond says, “Ravine continues to be our warm go-to natural as it provides a neutral canvas making it a safe option when detail needs to be added, be it a coloured painted feature wall, curtaining, flooring or upholstery.” For a luxurious classic look, Claire recommends pairing it with optimistic blush pinks such as Nutmeg Dust (O3-C2-2) or gentle salmons such as Orange Delight (O5-A1-4). Partnered with bright whites and blonde wood tones, versatile Ravine (62) also invites a clean, clear and calm Scandinavian aesthetic to a home. Claire comments, “In contrast to other cooler shades that have been popular in the past, this neutral shade of grey adds warmth to a space. The recently launched Plascon 2019 Colour Forecast identified cocooning, mindfulness and individualisation as some of the trend drivers compelling people to transform their homes into personal sanctuaries away from a busy, technologically-driven world. Ravine (62), moving away from the ‘more is more’ concept, is about creating spaces where life’s simple pleasures take centre stage. Says Claire, “The concept of luxury has taken a new direction with the new interpretation extending to simple joys like reading a book, taking a bath or enjoying a long lazy Sunday lunch with family and friends.” Ravine (62) can be used in any space depending on the mood you want to create. A soothing relaxing . . .
With all development rights in place, civil construction on the much awaited Ntshongweni Urban Development will commence in early 2019. 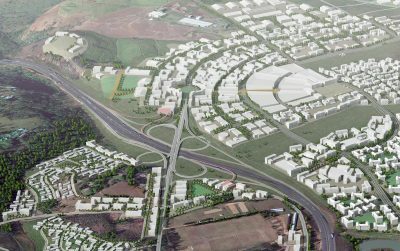 This 2 000-hectare project located 30 kilometres west of the Port of Durban on the N3, is the next logical urban precinct expected to unlock significant economic activity for the city’s largely underserviced outer west subregion. Ntshongweni Urban Development is ultimately set to provide a framework for environmentally sustainable, community-centric and inclusive urbanisation. As the primary land steward, Tongaat Hulett is responsible for the overall development vision and conceptual framework plan that aligns with public sector policy, plans and objectives. This extends to the creation of compelling and tailored real estate solutions for developers, investors, future residents and end users within Ntshongweni Urban Development. The site is situated with KwaNdengezi and Dassenhoek to the south, Summerveld to the west, Assagay and Hillcrest to the north and on completion will provide critical spatial, social and economic linkages to the existing surrounding communities. The first phase of the multiple phased development, the Retail and Urban Core will anchor the Ntshongweni Urban Development as a mixed-use, urban precinct centred around a new regional retailing offering. This will be followed by a variety of other uses including residential, logistics, recreational, warehousing and leisure components. The pioneering design will make substantial provision for the site’s ecological wellbeing as well as responding to the needs of the people who use it. Tongaat Hulett Developments Managing Director, Michael Deighton says, “All development rights for the Retail and Urban Core are in place and we officially have the go-ahead to break ground in the first quarter of 2019.” Commencing with essential road upgrades to Kassier Road, the first phase of construction in the Retail and Urban Core precinct will ultimately generate 19 000 . . .
Park Square, uMhlanga’s newest business and lifestyle development is due to open its doors in November 2018. Interfacing beautifully with its surrounds, the development offers a future-forward, people-centred destination where the surrounding communities and professionals can shop, work and connect. Hunt PR’s Melanie Rosettenstein connected with Jarryd Murray, MAP Architects Director and co-founder, to get the inside track on the vision to create a connected community through this new building. When in 2015 Jarryd Murray and Charles Taylor, director’s at MAP Architects and his team were approached by Nedbank to design a space that would accommodate their KwaZulu-Natal team, the brief was to create a structure which would allow the easy flow of people through the development but also accommodate a 17,500m² space to house their staff in addition to general commercial and retail space. Having grown up on the KwaZulu-Natal north coast, Jarryd loves the great outdoors and has witnessed the area’s urban transformation over the years. Passionate about creating dynamic urban spaces in our landscape, it’s no wonder that on designing Park Square, he has designed a space that responds perfectly to Durban’s climate and at the same time will be a connected urban landmark on the uMhlanga Ridge. After spending some time pinning down the vision, Jarryd and his team set about conceptualising an off-the-ground design that would see the commercial elements ‘hovering’ above a perfectly activated retail arcade and square which people could use for shopping and simply enjoying the city’s unique, outdoor lifestyle. The idea to create a connected community which would simultaneously be an exceptional business destination for professionals to work and socialise and a dynamic urban space to activate the local community, was born. The emphasis at Park Square is undoubtedly on transparency. The simple and modular building design features raw concrete slabs, steel beams, generous . 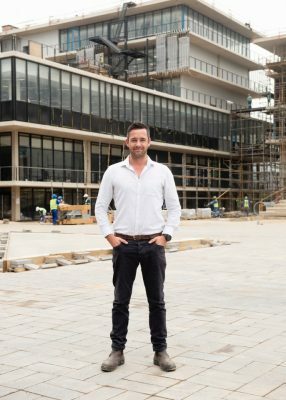 . .
Adhir Imrith (33) is one of the lead engineers involved in the development of Park Square - Durban’s much anticipated new mixed-use development on uMhlanga Ridge. 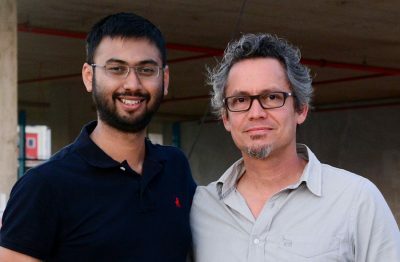 As an Associate at Arup South Africa, a leading global designing, planning and execution firm in the built environment, Adhir has been at the forefront of innovative design and planning over the last few years. Adhir grew up in Durban and graduated with a BSc. Civil Engineering degree from the University of KwaZulu-Natal. While completing his degree, he interned at Arup – an experience that changed his life, as well as his approach to engineering and design. In the 11 years after he joined Arup as a graduate, Adhir has been identified as a growing leader, both in the industry and in the firm. He now finds himself leading key projects with his own unique vision and drive for innovation. “At Arup we have a very specific way of embracing our role in the built environment,” explains Adhir. “We have a very on-the-ground approach to urbanisation – this means we can see design solutions from all angles, addressing multiple needs. At Arup we refer to this ‘Total Architecture’”. According to Adhir the concept of ‘Total Architecture’ works hand in hand with the idea of ‘Total Design’. So, what does this mean and how do these concepts interact and ultimately impact the process? “There is a deliberate collaboration and an added value to the wider team that comes out of a strong emphasis of working closely with both the client and the team,” he says. “Ultimately this level of collaboration creates a better-built environment,” he adds. A great example of the power of this collaborative approach is Park Square. There was a very strong working relationship between the architect, Jarryd Murray of MAP Architects, and Imrith. Adhir unpacks the thinking: “With Park Square uMhlanga, the engineering of the structure was shaped to complement the architectural vision – but at the same time the architecture was shaped . . .